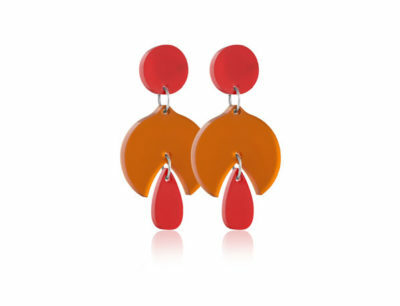 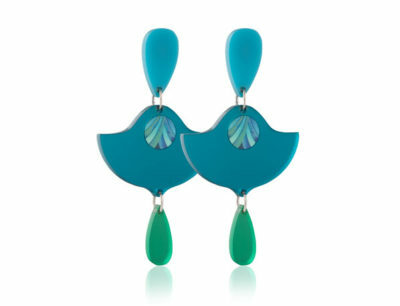 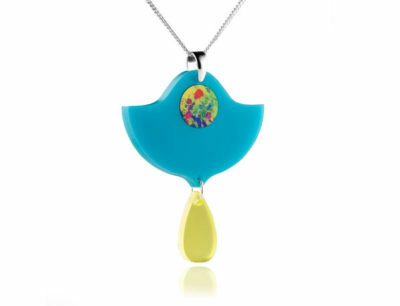 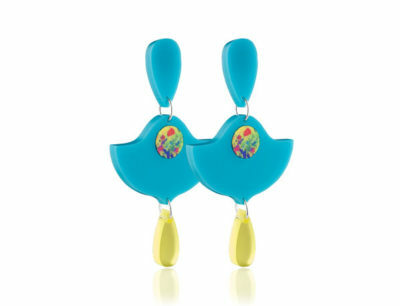 The Duo Lily turquoise frost acrylic pendant is guaranteed to brighten up a wardrobe. 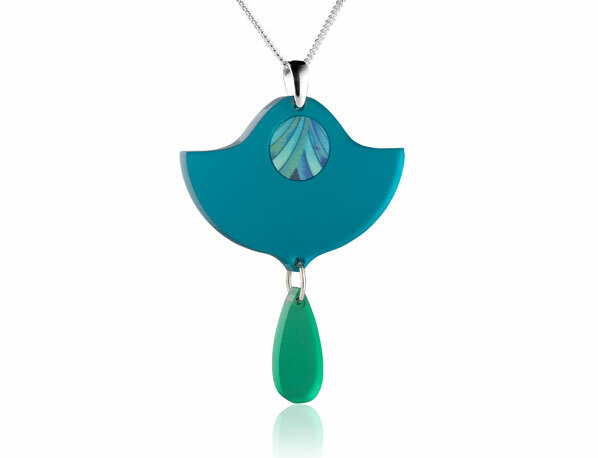 t. It features an eye-catching bang of colour with a circular pattern of aqua greens and blues and a translucent green frost droplet which adds to this chic, elegant look. Complete with a sterling silver bale and chain. 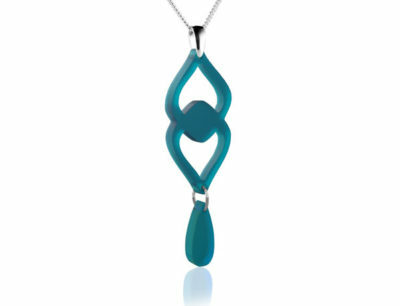 Acrylic frost blue pendant with aluminium patterned detail.